King’s Kadets, a long-time supporter of Mercy Ministries, has recently released God’s Alphabet Soup, a Christian CD/DVD set for children ages 0-7. This tool introduces children to Godly principles, while also educating children by teaching them their ABC’s. By learning how to apply the principles of God’s Word at a young age and laying a solid foundation, a lot of the problems that occur later in the teenage years can be prevented. King’s Kadets is very close to Mercy Ministries’ heart as they are brining forth positive Christian resources for young kids. Part of what has motivated them to produce this project is the devastation of the lives of so many young girls that have walked through Mercy Ministries’ doors. Not only does King’s Kadets have a heart to help the younger generation so they don’t face these problems, they also have a heart for the girls at Mercy Ministries and are very generous monthly partners with us. 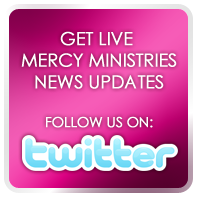 We are working together to find ways in which we can reach people before they actually have a need to come to Mercy Ministries. You can order your copies today by going to the King’s Kadets website at www.kingskadets.com.